Gujarat is considered a stronghold of BJP and is also the home state of Prime Minister Narendra Modi. Priyanka Gandhi is slated to address her first public rally which will be held in the BJP bastion of Gujarat along with her brother and party president Rahul Gandhi and mother Sonia Gandhi on February 28. 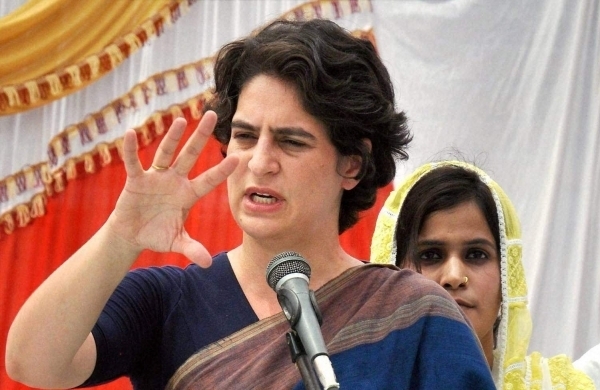 Priyanka Gandhi's Sankalp Rally at Adalaj ahead of the coming Lok Sabha polls is being perceived by Congress leaders as a major morale booster to the party in the state where it has been out of power for almost three decades. She would be participating in the CWC meeting for the first time in which Rahul Gandhi and Sonia Gandhi will also be present. The rally would be addressed after a meeting of the Congress Working Committee (CWC) in Ahmedabad which is likely to pass a resolution against the central government on various issues, a Congress leader said. Preparations for the rally are in full swing and posters in Gujarat have been put up across the state.